And be your #1 fan and supporter on your wedding day. So packages can be customized from 2 hours to 10 hours. therefore I highly suggest booking early to secure your date with me. If you’re worried that you may be stretching your budget, I hear you. Talking about money is awkward! But let me break the ice - are you getting married on a Tuesday? In the middle of January? Depending on when and where you’re getting married, pricing can be flexible. The most important thing to me is the COUPLE that I’m working with - so if you think we’d go together like PB&J, you’re planning a super cool non-traditional day, thinking of serving bubble tea at your reception, or having an off-season winter destination wedding - don’t hesitate to reach out. Let’s have a conversation and see how we can work together. Slide into my inbox baby! I want to hear all the awesome plans for your wedding day! Make sure to include your date and the location of your wedding. We'll chat about your love story, your vision for your wedding, and your plans for your life together. Of course you can! Shoot me an email and I'll send you real wedding galleries. I always recommend an engagement shoot. Engagement shoots are the best way to really show me (and the world!) who you are as a couple. Whether you're whimsical and silly, crazy puppy lovers, or classic romantics, this is your time to shine. You two can warm up in front of the camera, so by the time your big day finally comes, you'll be an old pro. Not to mention all the adorable ways you can incorporate your engagement photos in your wedding + reception. We'll have a champagne picnic in a field at sunset, go for a dip in a lake, or dive across city streets and eat sweet treats along the way. Most of my weddings are shot solo. However, if the couple is getting ready in two different locations, or you have a large family and/or bridal party, or want lots of different angles and more photos from your big day, then a second shooter is a happy addition to the team! I do! Travel via the Black Stallion (my beloved Honda) is included in all packages. If I have to fly, I have a current passport and am TSA Pre-Checked baby! WHERE CAN I READ FULL REVIEWS? Head over to The Knot or WeddingWire to see what LM Wedding alumni have said about their experiences! DO YOU PHOTOGRAPH CITY HALL WEDDINGS? YES, Boston City Hall is my middle name! Lena Boston City Hall Mirisola. My parents are weirdos. Anyway, click here to see full elopement galleries and pricing. We celebrate! 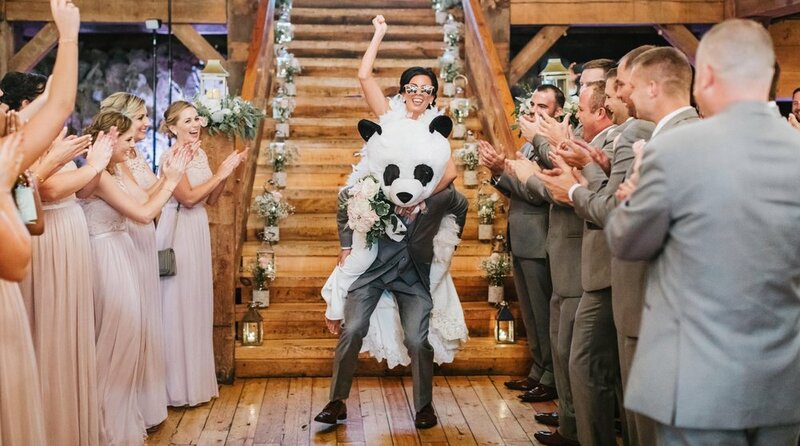 You found your wedding photographer, yay! First, let's plan a FaceTime hang out. Then, I send you an online contract, an awesome questionnaire all about you, and a link to pay the 50% retainer via credit card! Let the good times roll. Now, tell me all about yourself here!